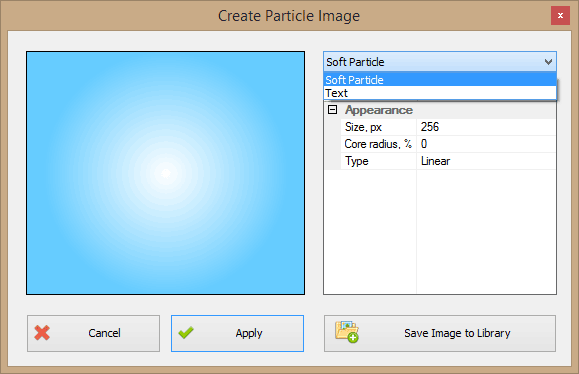 This update ads a new image creation tool for our particle engine. It allows you to easily create soft particles and text particles. Here is an example of the effect created with the new feature.